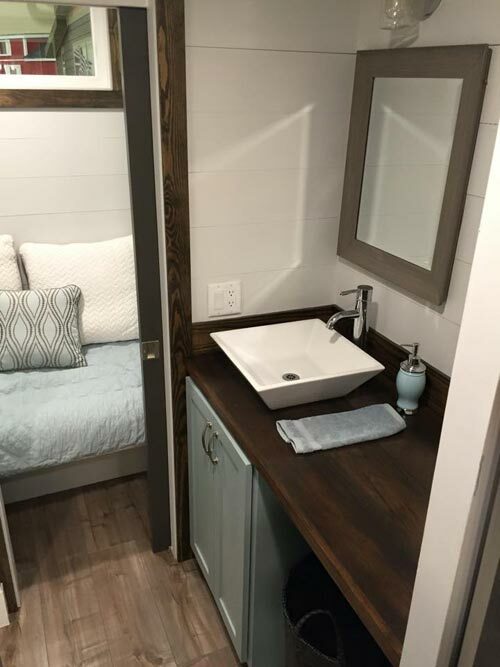 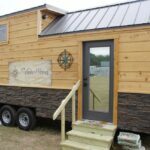 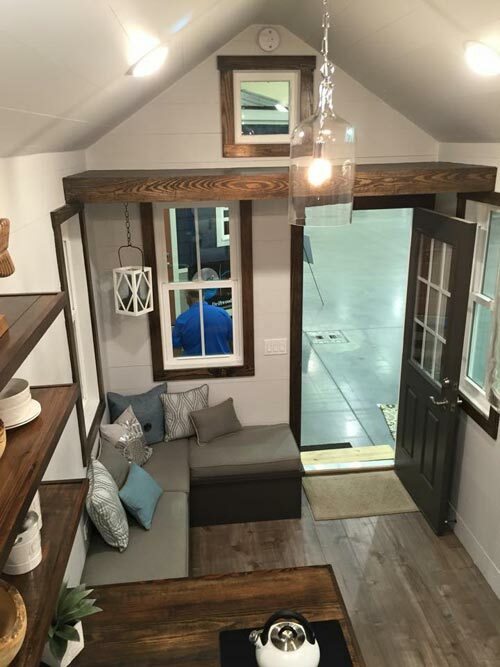 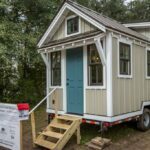 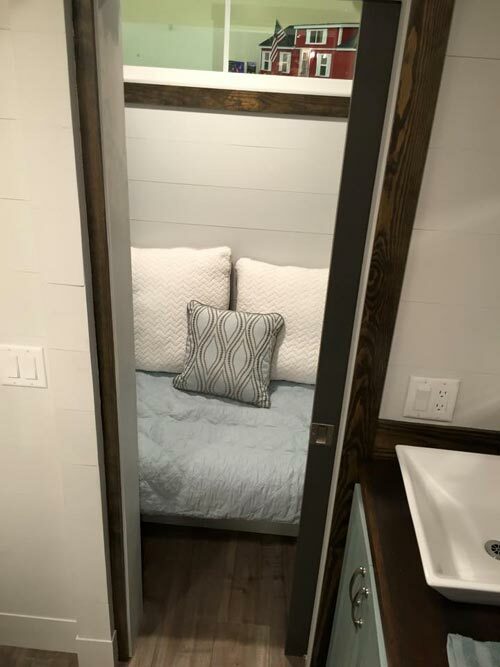 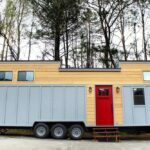 Driftwood Homes debuted Sweetgrass at the Sevierville, TN tiny home show. 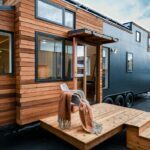 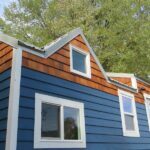 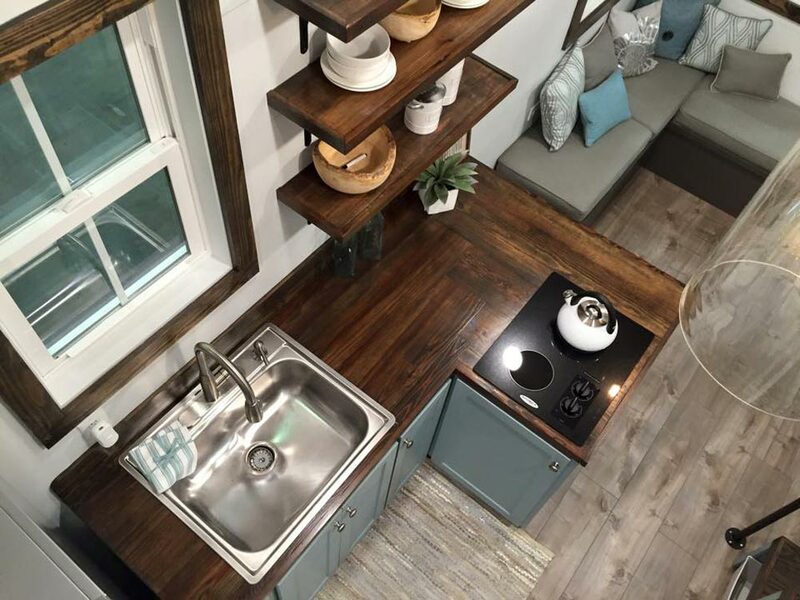 The interior of this 24′ tiny house is a beautiful blend of white walls, blue cabinets, and dark stained wood. 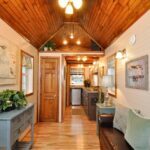 Wood trim around the windows and doors, open wood shelving in the kitchen, and a wood countertop give the house a warm, luxurious feel. 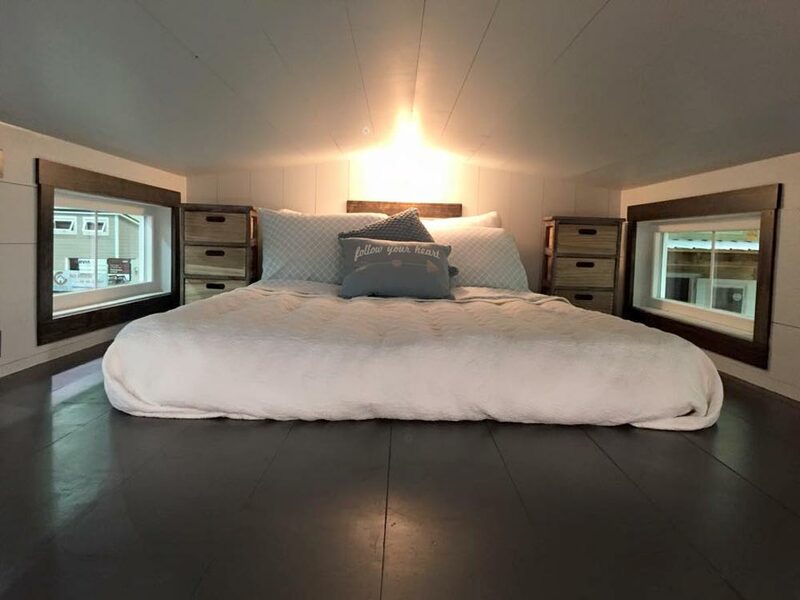 The bedroom loft has double dormers and is large enough for a queen bed and two nightstands. 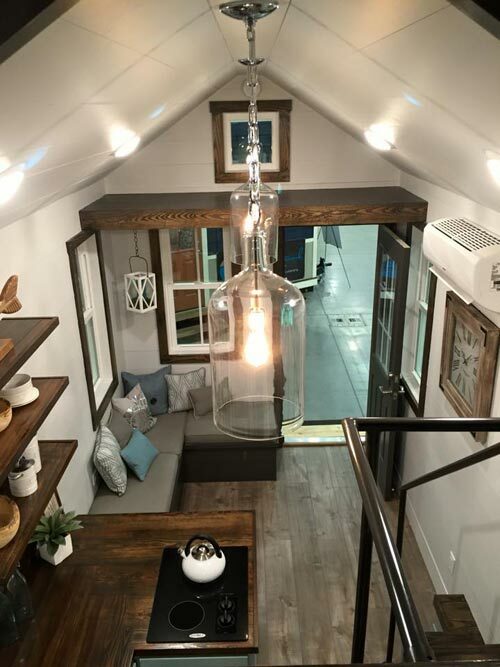 Across the way is a large storage loft. 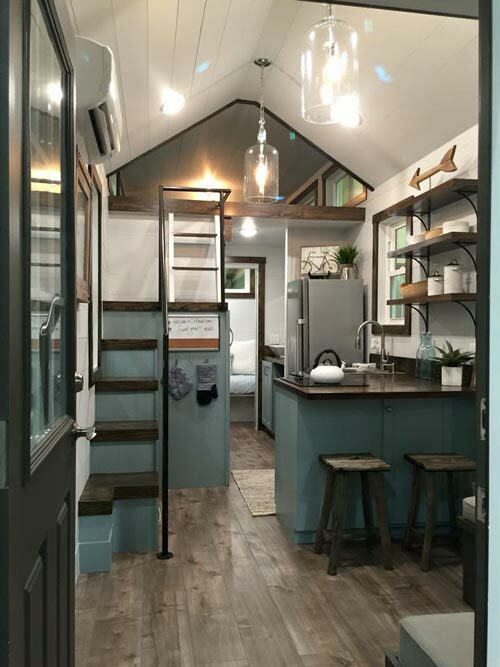 The kitchen has a stainless steel refrigerator, electric cooktop, and extra storage in the staircase leading up to the bedroom loft. 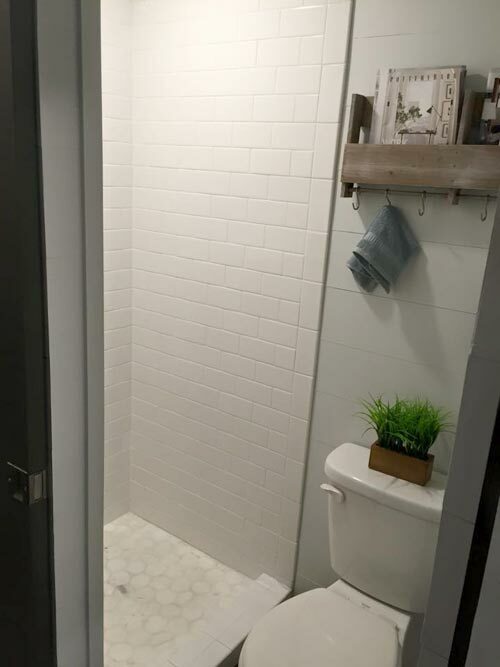 The bathroom has a bowl sink, flush toilet, and shower stall with white subway tiles. 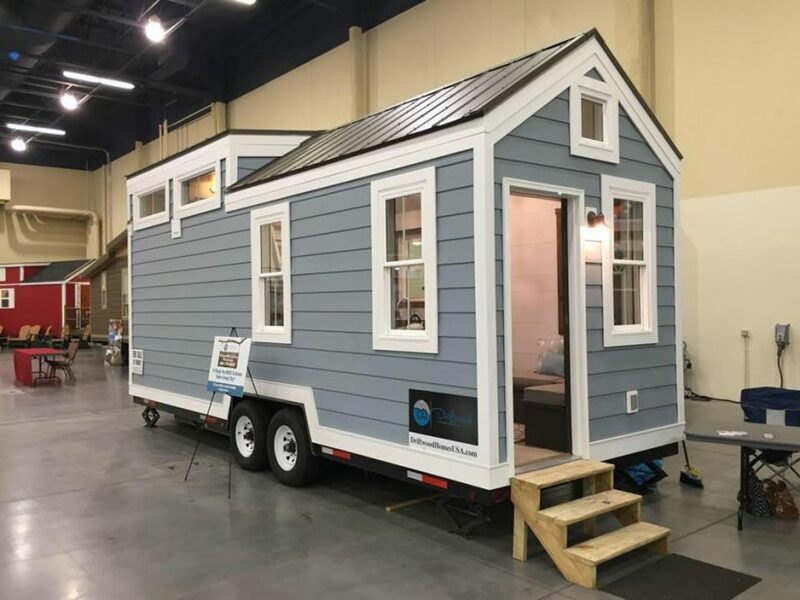 This model retails for $62,000 as shown. 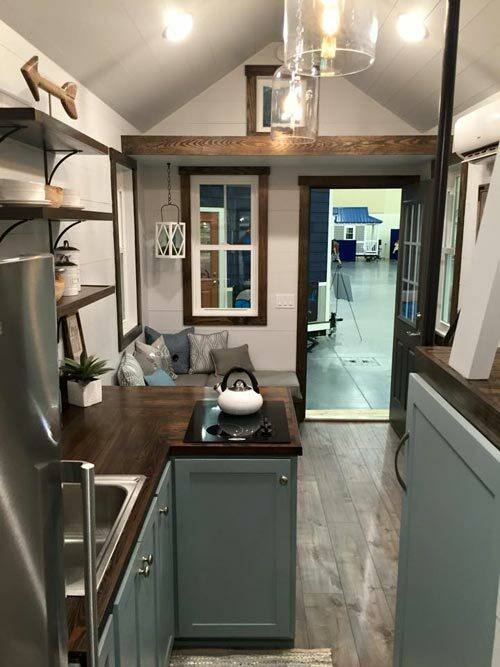 Also available from Driftwood Homes: Indigo, Palmetto.